. Published on 20/09/2018 . 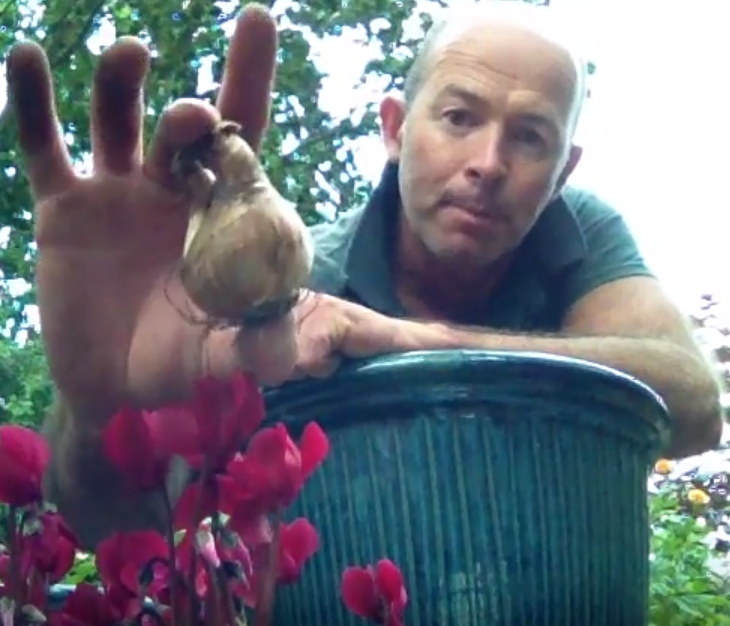 In this episode of our gardening ‘How To’ garden series @mikethegardener show’s us how to plant up Daffodil bulbs in pots. As you may or may not know, now is the time to start planting daffodil bulbs for an early spring burst of colour. In this video Michael demonstrates just how easy it is to plant the bulbs in a pot to get a dense daffodil display in Spring. Michael also shows us that you can plant for almost all year round colour in your pots. In this episode he plants a rather lovely cyclamen in the pot so you can get an autumn burst of colour too! And if you’re now feeling suitably inspired why not get your hands on some bulbs from Thompson and Morgan here. Follow @MikeTheGardener on the GardenTags app to see more of his ‘How to’ videos and his very beautiful garden. If you want to find out more about how to plant daffodil bulbs make sure you download the GardenTags app and look up the #bulbs or #daffodil hashtags. And don’t forget there are 50,000+ passionate gardeners on GardenTags who are all gardening together and helping one another out. Go to the Apple App Store or Google Play now.